Published Sunday, Nov. 25, 2001 GREENVILLE Accident claims council member By Tom Fontaine Herald Staff Writer Greenville council Vice President Michael A. D'Alfonso died Saturday from injuries apparently suffered during a pickup football game Thanksgiving morning, according to a spokeswoman for the Allegheny County Coroner's Office. D'Alfonso, 32, of 59 Rosedale Ave., was pronounced dead at 4:15 a.m. Saturday at a Pittsburgh hospital, the spokeswoman said. The spokeswoman said D'Alfonso was hurt during a pickup football game Thursday morning at Reynolds High School. She did not describe the nature of the injury. A ruling on D'Alfonso's death will not be available until later this week, the spokeswoman said. Several people who worked professionally with D'Alfonso found it difficult to comment on his death Saturday evening and described D'Alfonso as more than just a colleague. 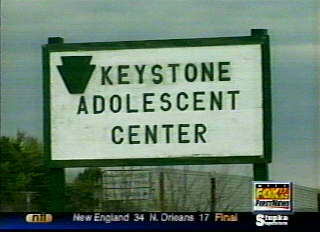 D'Alfonso was the clinical director of Keystone Adolescent Center, a West Salem Township group home for troubled teens. "It was a tremendous shock. Everybody is devastated," said James Gentile, founder and executive director of the center. "He has been with us (at Keystone) since day one in 1993. 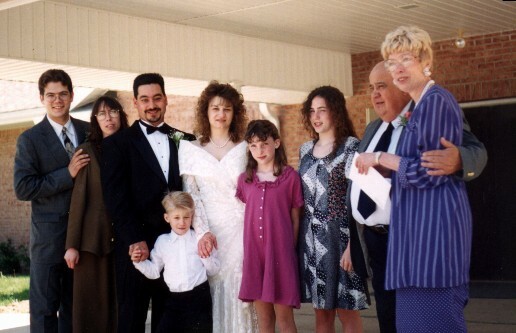 We were so close as a unit and he was like a member of the family," Gentile said. Gentile said D'Alfonso was hurt in a "freak accident" during a football game that has become an annual tradition in Greenville and Reynolds. The game, known as "The Turkey Bowl," was started about two decades ago by Greenville and Reynolds high school students, Gentile said. These days most of the players, like D'Alfonso, are in their 20s and 30s, Gentile said. "He was an exceptional talent. He loved to work for children and he had a knack for motivating them. He loved his job and it showed," Gentile said. D'Alfonso served as vice president of council despite being its youngest member. D'Alfonso, a Republican, was appointed to finish out Dennis Cascio's term in 1998 and elected to a four-year term in 1999. An emotional council President Bryan Shannon said he preferred not to comment. "It's more than the fact that we have served on council together. He was a close personal friend and a neighbor of mine," Shannon said. D'Alfonso's name surfaced recently as one of the dozens of applicants for a vacant seat on the Mercer County Board of Commissioners. D'Alfonso, a 1987 graduate of Greenville High School, was an alumni of Thiel College, Greenville. Obituary information was unavailable Saturday. Greenville Borough Council Vice President Michael A. D'Alfonso died at 4:15 a.m. Saturday at UPMC Presbyterian Hospital in Pittsburgh from head trauma suffered during a pick-up football game Thanksgiving morning at Reynolds High School, Pymatuning Township. D'Alfonso, 32, was injured during the football game known as the "Turkey Bowl" that has been an annual tradition for over 20 years among graduates of Greenville and Reynolds high school. D'Alfonso was the clinical director of Keystone Adolescent Center in West Salem Township. "Michael was with us from the first week," said James Gentile, founder and executive director of the center. "As clinical director he was responsible for all the groups in each building, the counseling that went on and all the therapeutic work like working with all of the doctors and psychologists. That would all be coordinated by Mike. So, he was very instrumental and a very important part of what we do." Gentile said D'Alfonso was important to Keystone because he worked at each building interviewing all of the students to understand, get to know and learn what needed to be done to help each of them. Gentile said the impact of D'Alfonso's death has hit the students at Keystone hard. He said he will be bringing in therapists to help with the loss. "Mike cared so much about each of them and they loved him so much. We feel they will need this and right now they need us to reassure them. It's traumatic on us but it's worse on the young people. They liked Mike because he was so real. They knew they could count on him. He was good at making them feel better about themselves and it shows in the students." Keystone staff member and friend Jerry Pacifico said D'AIfonso was their "go-to guy." "When we were unsure of something, he was the guy we went to," Pacifico said. "When we had important issues about the kids, he was the one we could count on to make the right decisions." D'Alfonso, a Republican, was the youngest person to serve as vice president of the council. 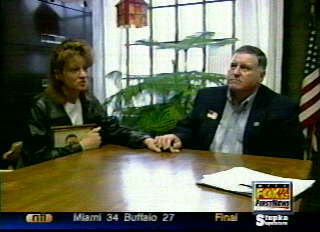 He was appointed to take over Dennis Cascio's term in 1998 and was elected to a four-year term in 1999. He was appointed council vice president earlier this year. D'Alfonso was instrumental in the creation of the 42-acre sports' complex in West Salem Township, the trail that will connect the complex and Riverside Park, the downtown Greenville streetscape project. He also served on the personnel and finance committees for the council. He was a member of the Greenville Area Leisure Services Association board of directors and was on the committee that appointed new parks manager Erik Bielata. 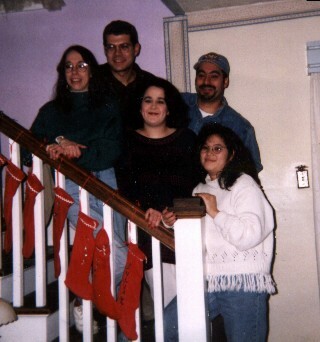 A 1987 graduate of Greenville High School, D'AIfonso also was a graduate of Thiel College, Greenville. 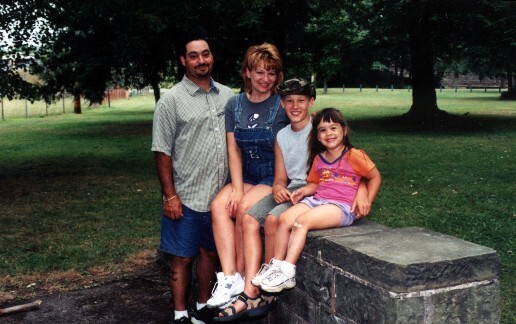 He is survived by his wife Marty M. D'Alfonso, a son Jacob Todd Snyder, 13, and daughter Julianna Felicia D'Alfonso, 5. 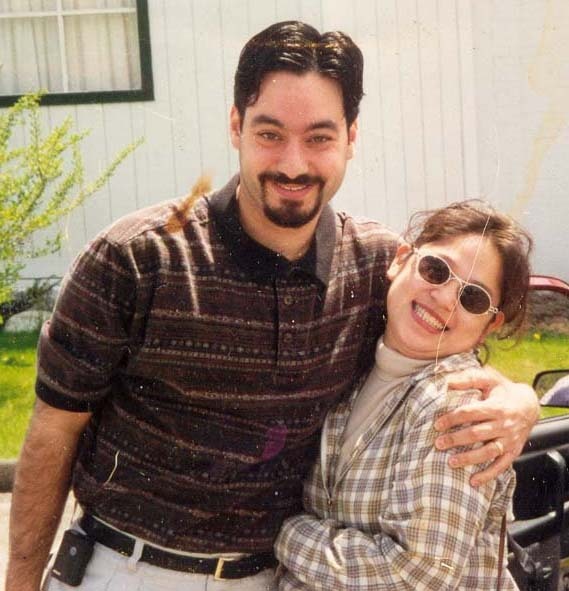 Marty D'Alfonso said she wants people to know how much her husband loved this community and believed in making it a better place to raise his family in and bring new families to. 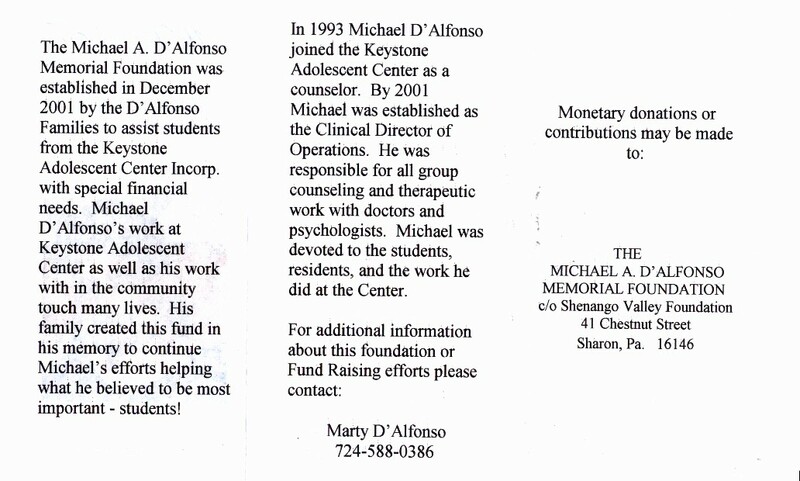 Memorial contributions can be made to Keystone Adolescent Center. When Greenville councilman and Keystone Adolescent Center clinical director Michael D'Alfonso died in November, the tragedy to family, friends and community was reflected in the overwhelming number of people in attendance at his calling hours and funeral. That same overwhelming support has spurred his family to come up with a way to keep his memory alive, and allow others to take part in supporting a cause that was near and dear to his heart. "The idea for a memorial foundation fund was the brainchild of Tim and Mary Keck and Tom and Beth D'Alfonso," said Marty D'Alfonso, speaking of her husband's siblings and their spouses. "They came to me and we all agreed that this was a great idea." A memorial foundation fund for the West Salem Township group home for troubled teens and created through the North Mercer County Community Foundation, an affiliate of the Shenango Valley Foundation in Sharon, will provide a monetary award to a student or resident for a special need. Special needs could include money for a down payment for an apartment, a bus ticket or scholarship money for further schooling, according to Mrs. D'Alfonso. "The family's goal is to perpetuate his memory and to continue to do the good works Mr. D'Alfonso did with the kids at Keystone," said Larry Haynes, executive director of the Shenango Valley Foundation. "It's a way to continue his efforts in helping those kids. Mike would do extras, above and beyond his duties. He spent his own money on them. Some of the kids spent the holidays with our own families," said Mrs. D'Alfonso. "I know it doesn't compare to what the employees are doing now but we want to help." According to Jim Gentile, Sr., executive director of Keystone, this kind of help is very welcome. "It's a great idea. Mike would have been thrilled and real supportive. We'll do every-thing we can to make it a part of our yearly award ceremony. It's a really wonderful thing to have something in his memory," said Gentile. "As a role model for kids, he was just super. He's really missed. He was the kind of guy who was real." It's that genuine down-to-earth quality about D'Alfonso that his wife hopes to pass onto her children and those in the group home. "Keeping up the foundation will be passed onto my children, and not only how special he was, but how important his work was," she said, speaking of Jacob, 13, and Julianna, 5. "Besides having his children, this will be the most important thing I will ever do for him. It's making me stronger to deal with this." For more information about the memorial foundation fund, contact the Shenango Valley Foundation at (724) 981-5882 or Mrs. D'Alfonso at (724) 588-0386.